I look forward to a very prosperous New Year every year, but this year, I am taking it a lot more seriously. I always expect to build on the success of the prior year but 2011 was a little different. Prosperity was hard to come by in the City of Detroit last year. Detroit may have seen the worst of the economic downturn. Some actually found work but at a lesser pay and many struggled to acquire even half of their former salary. Some chose to leave Detroit altogether. In 2012, a lot more people will join those who left Detroit in 2011; including close friends and family whom I will miss dearly. 2012 has to be a year of success for them even if that means success lies elsewhere. After what I have seen in 2011, I can’t blame them one bit. I saw a lot of frustration in 2011. You all were making Hollaifyouhearme popular but I felt like I hadn’t accomplished enough. The more people I talked to the more I heard the same thing. The people in Detroit felt the same way I did throughout 2011. Everybody had the sense of needing more no matter what they may have accomplished. People gave thanks for what they had on Thanksgiving but the amount of money they had to spend on Christmas expenses couldn’t meet expectations. Many people cancelled their usual trips to see loved ones in order to save money. By the time New Year’s Eve rolled around people had enough of 2011. They were tired of waiting for things to get better. In 2012, they were going to make things better. Opting for relocation, leaving family and friends in a show of no confidence in our public leaders. Staying in Detroit is by no means a bad thing. Opportunities may yet present themselves. GM, Ford, and Chrysler are all planning on hiring this year. They are not paying what they use to but still stable jobs. These newly employed workers will funnel money back into Detroit’s economy. I am with those who are staying. Artist like myself who have been honing their crafts while jobs were scarce will begin to put our talents on full display this year. Trust me, we are ready! 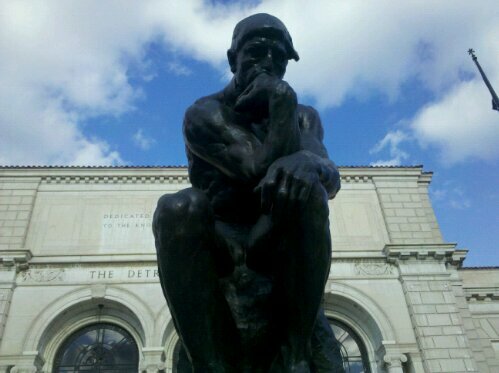 So ready in fact that Detroit could see a huge demand for its writers and performers in 2012. I will let you know who those rising stars are as they release new projects. I am looking for success in 2012. I want Hollaifyouhearme blog to be your source of information on everybody and everything Detroit. I will introduce you to people committed to their own personal success as well as the City of Detroit’s success because that’s what I am all about! Holla if you hear me!!! Posted on January 4, 2012 by KELLY GREENE	• This entry was posted in Uncategorized and tagged city of detroit, economic downturn, prosperous new year, public leaders. Bookmark the permalink.